If you're planning to upgrade your iPhone, iPod touch or iPad to the latest iOS 7, you'd better back up your data before you do it. Upgrading your device to iOS 7 will restore your iPhone, iPad or iPod touch settings to the factory defaults and wipe all data like contacts, messages, notes, photos, videos, calendars, call logs, voicemail, and so forth. 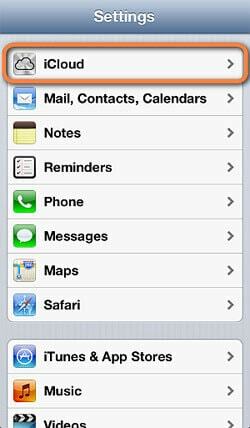 This article is going to share you three ways to backup your iPhone data before upgrading to iOS 7 in detail. 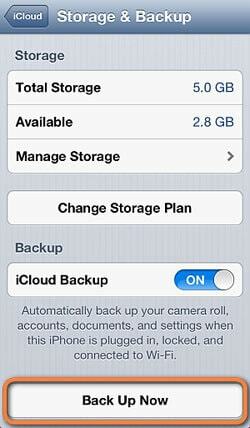 First of all, let's check how to use iCloud to backup all data on your iPhone in steps. Step 1. Hold your iPhone and go to Settings > iCloud. Step 2. After running iCloud, tap Storage & Backup at the bottom of your iPhone's screen. Step 3. Now, click Back Up Now at the bottom, and you only need to wait a moment until the data backup completes. 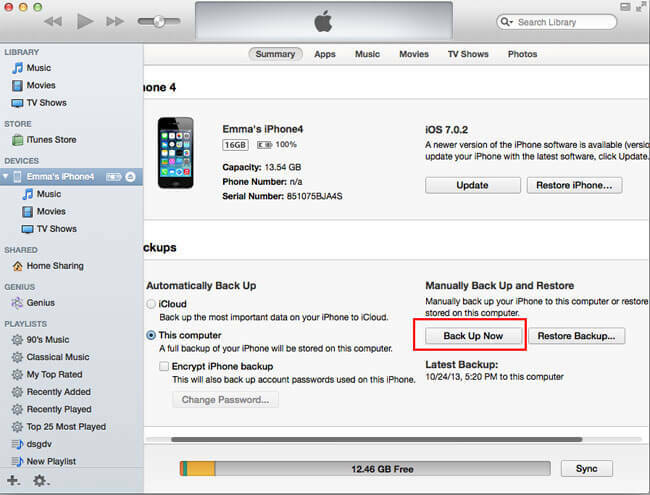 If you don't have an iCloud account, you can also backup your iPhone data through iTunes. It's a piece of cake if you always use iTunes as your iPhone data manager, but there is still a warm remind: to avoid Automatic synchronization of your iPhone, iPad or iPod touch by iTunes, you can keep the Shift and Ctrl keys pressed when you launch iTunes, which can prevent your iPhone from being automatically synced. After launching iTunes and connecting your iPhone, right click your iPhone's name and select Back Up. Then wait until the backup is over. If you don't want to use either way above, you can use this third way: to use an iPhone data backup program - Wondershare Dr.Fone for iOS (Mac) or Wondershare Dr.Fone for iOS (Windows). 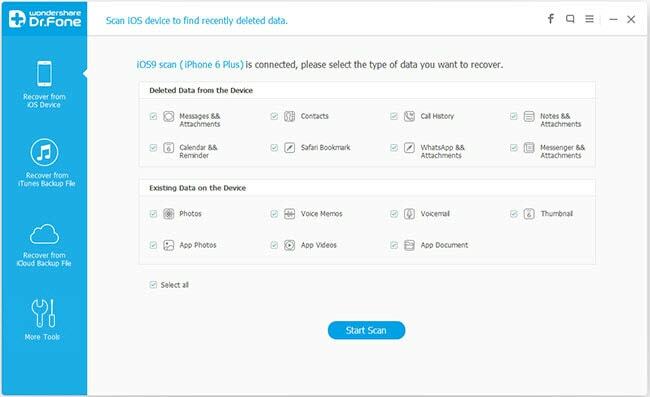 Both programs allow you to directly scan your iPhone and export the data on it to your computer, and they're available with iPhone 5, iPhone 4S, iPhone 4 and iPhone 3GS. Advantages: You can preview and selectively backup what on your iPhone to the computer like messages, contacts, photos, notes, etc., which you can't do with iCloud and iTunes. First of all, download the trial version of Wondershare Dr.Fone for iOS for free below. Now, let's walk through the guide of how to backup iPhone data before upgrading to iOS 7 with Wondershare Dr.Fone for iOS (Windows). Working with the Mac version is actually the same. 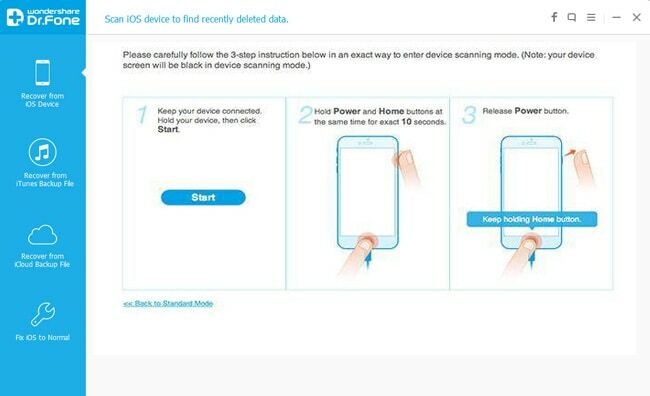 For iPhone 4S and iPhone 5, you can directly click Start Scan on the window above to begin scanning it. Click the Start button on the program's window. Immediately, keep the Power and the Home buttons on your iPhone pressed at the same time for exactly 10 seconds. After that, release the Power button, but keep pressing the Home button for another 15 seconds, until you're told that you've successfully entered the scanning mode. Then the program will start scanning your iPhone later. 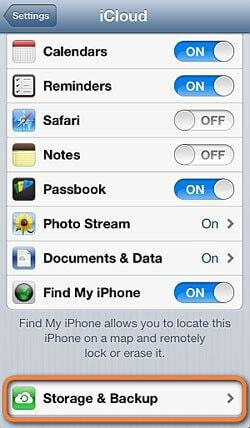 When the scan completes, all data found on your iPhone will be categorized and displayed in front of you. You can click every one of them to check which you want to backup and which you don't. Tick off those you want and click Recover. Now you can save them all on your computer with one click. 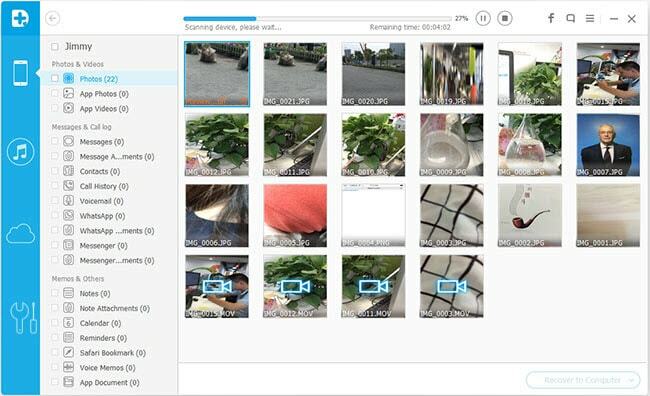 If you have a need, you also can use Wondershare MobileGo for iOS to selectively import contacts, photos and video to your iPhone in a few clicks. 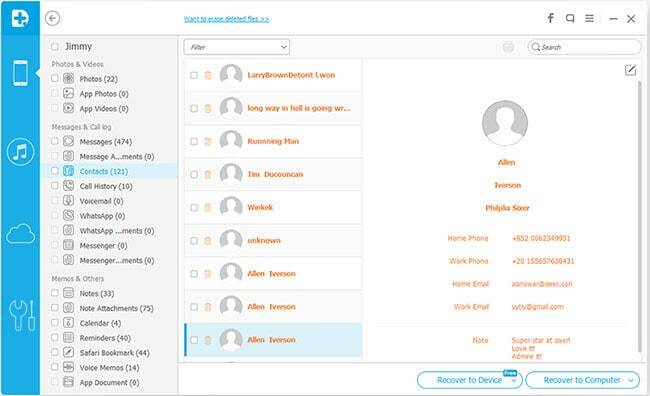 Download the trial version of Wondershare Dr.Fone for iOS for free below.